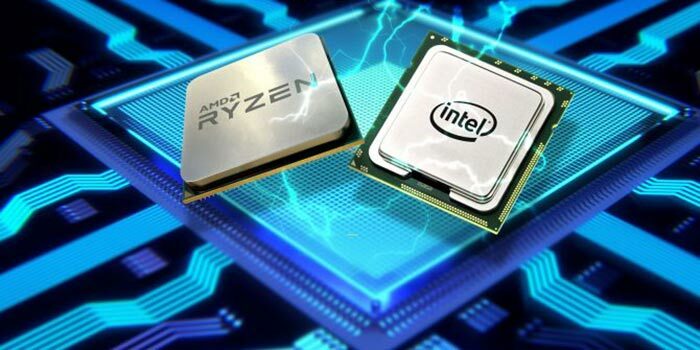 Rumours emanating from the Far East indicate that Intel is preparing a 10 core mainstream desktop CPU in anticipation of AMD launching its first Zen 2 parts to this segment. Sometime during 2019 Intel will release a 10 core CPU as part of the Comet Lake-S family of processors, suggests a Taiwanese tech forum member, via WCCF Tech, citing information provided during an Intel partner meeting. The source says that the upcoming Comet Lake-S processors will be manufactured on the 14nm++ process and the top end model will feature 10C/20T. A little bit of technical detail shared suggests that the CPU may use a dual ring bus interconnect. There are concerns about cooling this 10C/20T part due to the current thermal performance of the top end 8C/16T 14nm++ processor, the Intel Core i9-9900K. It looks like Lenovo has spilled some new ninth-generation Intel processors before they have been officially launched. 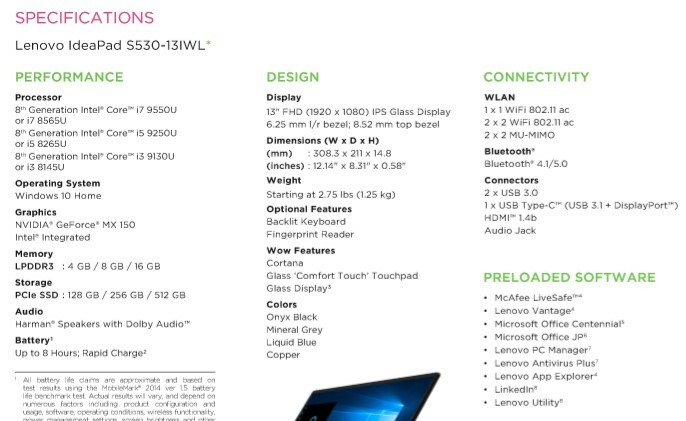 In a spec sheet for the Lenovo IdeaPad S530, six chip options are listed. Three of them are existing ARK-listed 8th gen parts, but three of them are 9th gen processors that are new to the market. Tom's Hardware spotted that the Intel Core i7-9550U, i5-9250U and i3-9130U are all new, previously unseen parts. According to previous leaks these new processors are expected to debut in Q2 2019 and they are all quad-core processors with 15W TDP and 2MB of cache per core. A reasonable assumption is made that these 9th gen processors are pin-compatible with the previous gen, so it makes it easy for the likes of Lenovo to issue these updated laptops. Other details are less clear - it isn't known whether these CPUs will be 14nm++ Comet Lake or 10nm Ice Lake parts, for example. I hope that the upcoming CES 2019, product unveilings, and associated events will make Intel's roadmaps clearer. S530, sic chip options are listed. Cooling that 10C/20T will be fun! That's OK, if Intel are short of the Xeons that this is certainly rebadged from then I suspect it will be a paper launch at prices no mortal can afford anyway. Anyone reminded of how AMD tried to stay competitive not so long since by throwing lots of cores at the problem (knowing it wasn't going to make a jot of difference to most people)? Intel had such a long time in the lead to do some proper R&D and keep some innovations held back ready to throw out if this situation happened. But they didn't. They just kept rolling in the excess profit rather than being prudent and it has seriously come back to bite them. Hard.